Ever try and map out Panem while reading The Hunger Games? Well, i09.com has perhaps the most well-researched map of Suzanne Collins' world. Check it out here! We now have eBooks at the library! Do you have a smartphone or an eBook reader? Our digital library includes many MANY young adult titles, including The Secrets of the Immortal Nicholas Flamel series and the Cirque du Freak series. To access our Download Destination, click here. You can also download audiobooks and music from the same site. Find out more about how it all works. You need to be a Westland resident (with a Westland library card) to download eBooks. Teens! Make mice and reindeer ornaments out of leftover candy canes. Join us on Wednesday, December 21st at 7pm to make this simple holiday craft. Candy canes, hot chocolate, and holiday music will be provided. Sign up online here or by calling the Reference Desk. Grades 4-12 please. November is National Novel Writing Month, and the Public Library of Westland will be holding events for teens. The goal of National Novel Writing Month (NaNoWriMo for short) is to write an entire novel (50,000 words) in one month, starting November 1st! For more information on National Novel Writing Month, visit the NaNoWriMo website or the Young Writers Program site. To see when the library is holding write-ins during the month of November, please go to our Adult Events and Teen Events pages. The results are in, and the video game for our teen tournament will be Mario Kart Wii! 7 people voted for Mario Kart, 4 for Supersmash Brothers, and 3 for Other Games. Look for Supersmash Bros. Brawl and Marvel Vs. Capcom 3 in the future, but for now, plan on playing some Mario Kart on Thursday, Sept. 29th from 5:30-8:00. Sign up begins Thursday, August, 25th. It's up to you to decide which video game we play in our next Teen Video Game Tournament at the library. The tournament will be at the end of September. Let us know by Monday, August 22nd by voting in our online poll at the top of this site. The Summer Reading Program ended on August 6th, but if you'd still like to participate in a contest, try Teen Library Bingo. Grab a bingo sheet from the YA Area and complete the tasks in the squares. Get a bingo horizontally, vertically, or four corners, and you receive a prize, a coupon, and are entered to win a grand prize. Bring your completed bingo sheet to the Children's Desk by Saturday, September 10th to collect your prize. The Westland Library is hosting a Battle of the Bands on Thursday, July 14th, from 11am-8pm. If you have a band and would like to sign up, email: bands@westlandlibrary.org . Each band gets to play 3 songs, 2 of which must be covers (drums will be provided by Westland Music Center). Winner's prizes include a Friday gig at the library in the fall plus the band's choice of: a) studio time, b) Pro Tools, or c) music lessons from Westland Music Center (734-729-2040)! Food and soft drinks will be sold all day by Toarmina's Pizza. The Teen Summer Reading Program begins next Saturday, June 18th. 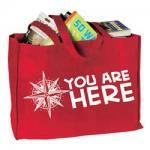 Register for the reading contest and the exciting You Are Here programs we have planned. Read 200 pages for a stamp, and earn 10 stamps to complete the program. With each stamp, you can enter to win the weekly gift card or the Browsing Bag of Goodies, which contains a free book and other small prizes. Stop by the Library on June 18th from 12-3pm to make candy sushi! Registration for programs will start June 18th. The Beach Towel Decorating and Drums from around the World programs are now open! Register online on the Teen Events page. Stay tuned for more details. Kickoff is June 18th!